While visiting friends in the countryside toward the end of the summer (…is it over already? ), I met a woman who grew the most lovely little lettuces, which she sold at the local market. Which was basically a table with several baskets of her stunning greens sitting on it. If you haven’t had eaten lettuce just a few minutes (or even hours) out of the ground, you don’t know what you’re missing. I, myself, had forgotten about how good fresh lettuce and greens are, until I reached into the pile we bought and tasted the spiciest, most peppery arugula I’ve had in years. She also had mustard greens, which aren’t as celebrated in France as other types of lettuce, perhaps due to their forceful flavor. (Although Dijon mustard is wildly popular, so not sure why the greens aren’t.) 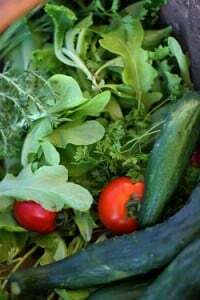 But I filled an especially big bag with as many of the mustard greens as I thought I could use, and brought them back to our friend’s kitchen. With renewed interest in légumes oubliés (forgotten vegetables), however, raw beets seem to be making a comeback of sorts. But no one is dumpster diving at the markets, fishing out the beet greens that are hacked off before the round beets are handed over to customers in a bag…except for a friend of mine, who couldn’t stand to see the leaves go to waste, and I often run into her at the market, hauling a caddy jam-packed with beet greens home with her. Other than my frugal friend, I don’t see anyone else scrambling to take home beet greens with them. But when I find organic beets, I keep the leaves and sauté them up. While I was deciding what to make with the overload of greens that I’d gotten, in my friend’s kitchen, Romain took charge of the dessert. He’d just discovered pâte sucrée and was on a tart-making bender, and I let him have his way, while I took over the savory side of things. Since I was on vacation, I didn’t take pictures or write down what I did, much to the dismay of some commenters on Instagram. But when I got home, I rustled up some beet greens to use in place of the mustard greens and made it again. It was just as good; the sturdy beet greens didn’t have the tang of mustard, but were full-flavored and made a nice counterpoint to the salty, tangy feta and bits of bacon, along with a generous handful of herbs. If you don’t have one, I’ve given some guidelines for using other types of molds in the headnote before the recipe. You can swap out fresh or aged goat cheese for the feta, and if you want to use another herb, such as fresh dill, basil, thyme, tarragon, or whatever strikes your fancy in place of the chives, go for it. The tart mold that's commonly used in France (shown in the post) is 27cm across, with sides that are 3cm high, approximately 10" by 1 1/4." 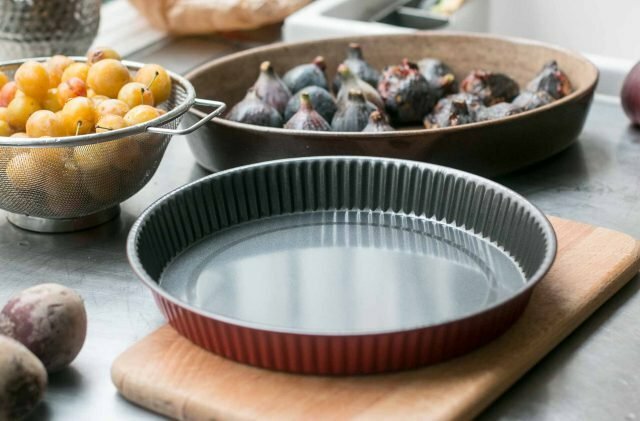 You can get similar size quiche dishes online, or use a 10-inch (27cm) pie dish or pan, but like most French cooks, I wouldn't fret. Anything close in size should work fine.The amount of custard I call for was just right for using a tart mold with lower sides, but if you have one with higher sides, like the French kind shown in the post, you can bump the ingredients up to 1 1/2 cups (375ml) of milk and 6 eggs.I've made this recipe with mustard as well as with beet greens. See notes at the end of the recipe for tips on using other types of greens, and other variations. Whatever type of greens that you use, be sure to wash them carefully, in several changes of water if necessary, to remove any grit. The mustard greens I used the first time had tender stems so I chopped and cooked them together, but if the stems of your greens are thick (such as if you are using beet greens or kale), you probably want to separate the leaves and stems, chop them separately, and add the chopped stems to the pan a few minutes before the leaves, as they'll need to be cooked longer. 2. Remove the dough from the refrigerator. Roll the dough on a lightly floured surface until it's a 13-inch (33cm) circle. Brush off excess flour and transfer the dough to a 10-inch (27cm) tart mold. Fit the dough in the tart mold, trim the overhang of the dough around edges of the rim, and chill the dough until ready to use. 3. To make the filling, heat a little olive oil in a skillet and add the bacon. Cook the bacon, stirring frequently, until it's cooked through, but not crisp. 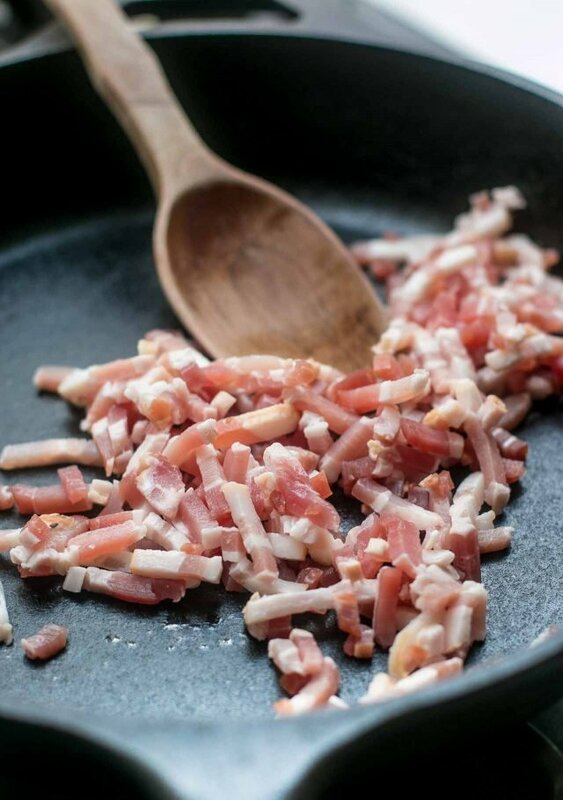 Transfer the bacon to a plate lined with a paper towel and set aside. 5. To make the custard, in a medium bowl, beat together the milk, eggs, mustard, salt, chives, basil, and a pinch of paprika or red pepper. 6. Preheat the oven to 350ºF (180ºC). 7. Put the bacon pieces in the bottom of the unbaked tart shell. Add the cooked greens and crumble the feta in big chunks over the greens. Pour the custard over the greens and move them around a bit with a spoon so they're evenly distributed. Sprinkle Parmesan over the top. Bake until the filling is just set, 20-25 minutes if using a shallow tart pan, 25 to 30 minutes if using a deeper tart mold. Let cool for a few minutes before slicing and serving. Notes: I made this with mustard greens as well as turnip greens, which took longer to cook than the mustard greens. You can use either of those or another favorite green, such as kale or Swiss chard. Spinach is another possibility although since it's very damp, you may need to wring it out well before using it in the tart. If you don't eat bacon, smoked salmon (or even sauteed mushrooms or peas, for a vegetarian version) can be substituted. I've also swapped out goat cheese for the feta, and fresh dill for the basil. Some might ask about pre-baking the tart shell, before adding the filling. In my experience, I've not seen a French home cook do that. These kinds of tarts are meant to be everyday fare; often people buy the pre-made pastry at the grocery store, unroll it, and fill it for a relatively quick dinner. But if you want to prebake the crust, you can. Simply line the tart shell with foil, fill with beans or pie weights, and bake the crust until golden brown across the bottom. What a lovely way to incorporate a load of vitamins into food that looks and tastes great, David. I’ve never used beets leaves for cooking but I am curious to try now. Great post, as usual. This looks yummy. Off to the farmer’s market! I also take the extra Beet Greens my favorite stand sets aside for me-won’t buy Beets without them! Sturdier than Spinach but not as much as Kale. I cook as I do Spinach or Chard-often combining. 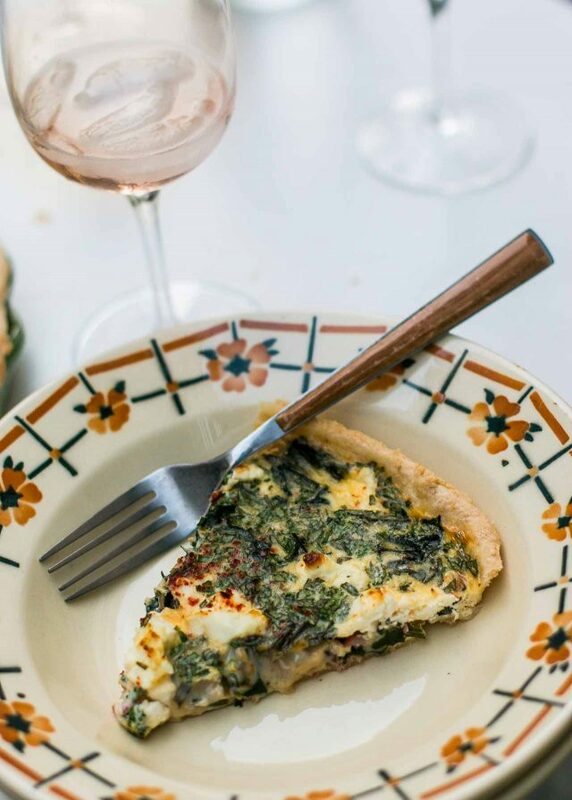 Nothing like a great quiche! I love beet greens! I have taken home the bunches of tops discarded on the beet display by undiscerning customers in Whole Foods. I can take or leave the beets, but pass the greens, please!! Beet greens are sadly underrated! I was lucky to grow up in a family that loved them. We would simply cook the greens in the water that clung to the leaves, which only takes a few minutes because they are quite tender. Drain and serve with a pat of butter. It’s a distinctive flavor, slightly minerally but not bitter. If you grow your own beets, you can harvest leaves multiple times before pulling the beet itself. The leaves collapse down like spinach, so you need a lot for a serving. 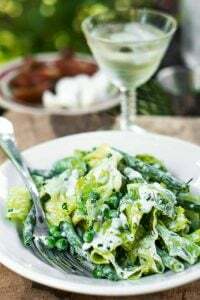 My own love affair with fresh French greens began back in the late 90s, when several business trips to Paris helped introduce me to “Mache” or “lambs-ear” lettuce. This sweet, nutty leaf was everywhere, it seemed, which was fine with me. To this day, I can’t understand why U.S. growers don’t tend to offer it more often. David, I fell for pea shoots too–found out they’re very easy to grow. Now that its nominally cooler in New Orleans I can start mine. Romain has great taste–all the way around! I have become so French that I buy a ready made spread pâte feuilletée pur beurre (all butter) and put it in the tart mould then add the filling topping it with a custard of beating 3 eggs and 20 cl full fat crème fraîche plus salt and pepper and then it all goes in the oven. Absolutely fool proof easy looks marvellously clever once out of the oven. Mustard greens are my favorite. I had never eaten beet greens before my marriage, but my husband taught me to love them. I will certainly try this recipe. Here in Greece the beet greens are the treasured part in many families, or at least equal to the beets themselves. I boil and slice the beets and saute the greens (the stems a bit longer than the leaves) and then after recombining with the beets, dress them just with garlic, olive oil, a squeeze of lemon (or vinegar) and of course a bit of salt. Yes, you have all those lovely greens in Greece, which I’ve had in restaurants. Along with lots of other good food, too! It’s easy to grow pea shoots in your home, does not take much space or time. Organic peas can be ordered through Hippocrates or Sproutpeople. Lots of You Tube quick videos. David, It’s great that you mention and use beet greens. 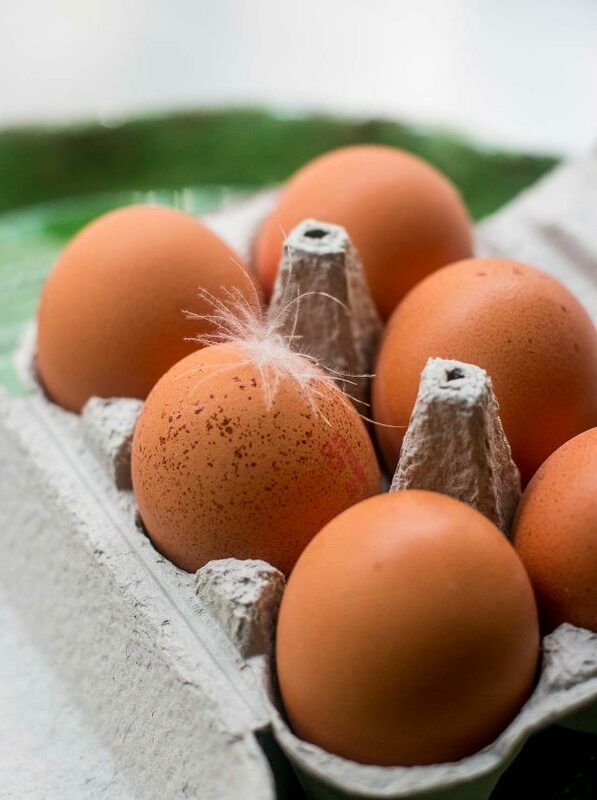 Here, in my little southern country we use them regularly in similar dishes, like in pies combined with cheese, or with fried eggs, or simply steamed with a splash of olive oil and lemon. But as you mentioned, there are at their best and feel almost silky when fresh from the ground. I have some in my garden and will make your quiche. Thank you for the recipe! Susan and Toni: Almost every plant we’ve planted in window boxes and planters has been stolen. Last week someone ripped out my lovely thyme plant and someone else (or the same person?) yanked my basil plant out of the window box : ( So we’re not able to grow anything anymore…which is too bad because the city of Paris has been encouraging people to plant greenery around the city to make it more beautiful. Well done, David, and thank you. 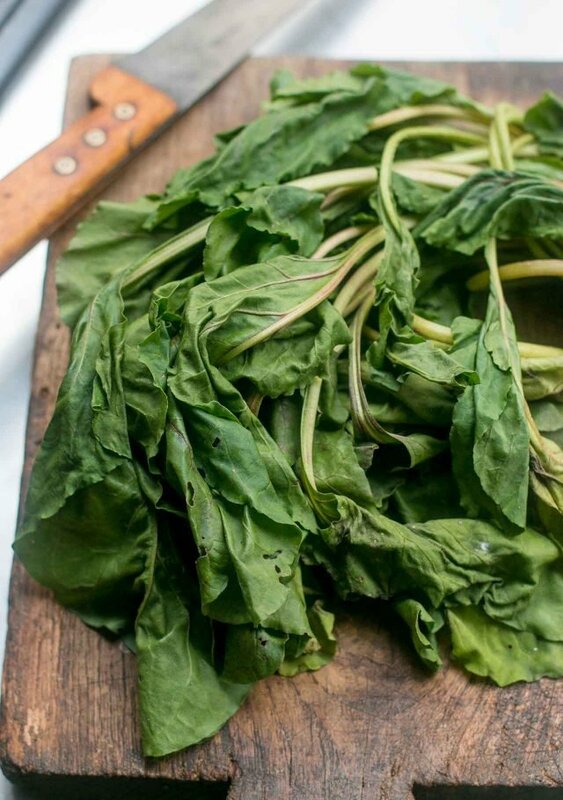 It’s high time beet greens took the spotlight. We grew up on them, along with chard, and as an adult, I received bushels of them from a co-worker whose family had an immense farm. Only in the last few years have they been left on the beets in most supermarkets. Finally. Thanks again. Always delight in your posts. I am the only one in my household eating greens. 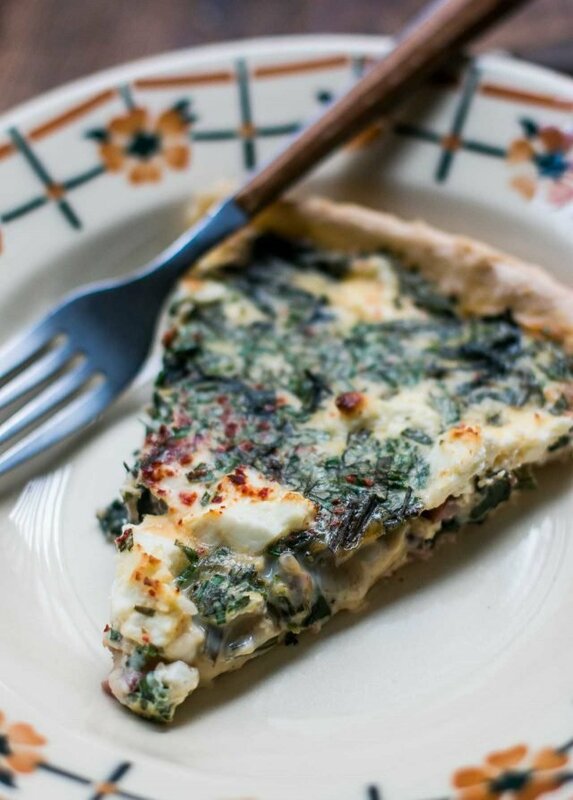 Your quiche looks great, I could make it for a friend with a broken foot. You always capture a great idea. I love greens of any type. I truly thought that as I Southern girl, I knew how to cook greens until I tried my Mother-in-laws greens Truly delicious. Rutabaga greens are also tasty in case you have not tried them. Thank you for sharing. Was at an event at the French Consulate in New York this week and was informed (sadly) that in Lorraine quiche never contains cheese. Is that so? Looks delicious! I can’t wait to try and plan to use the Tuscon Kale in my refrigerator now. Thanks! I love to cook the baby beets with greens attached early in the season. If you grow your own, you can use the plants you thin out of the row. Of the various types of beans I’ve sprouted I’ve never had any that tasted as good as the green lentils. At my health food store they’re called French green lentils. You want to be sure and get lentils that are whole and not split. As replies have already shown, it’s easy to sprout your own. I use the Sproutamo Easy Sprout Sprouter. I’ve also sprouted mustard seeds, which are surprisingly not hot and have an interesting horseradish flavor. “Egg and Bacon flan” was what my Mum made, a sort of Quiche. Including Cheddar cheese. I thought Q Lorraine included cheese, so shows what I know. My Mum had a whole book of quiche recipes (so must be here somewhere? ), and I used some of the recipes as a base to make Quiches for lunch for myself and friends, in my distant past. True, the department had a kitchen and served what it called “Quiche”, (unchanged, 25 years later as I discovered) but they were happy that we fed ourselves with mine (or other contributors) so long as we purchased their side salads – which were not bad themselves. I used the glass lid of a (Pyrex) casserole as the dish to cook it in. Hadn’t considered beet greens, although have used radish greens. Another lovely recipe! I only have a few beet greens and quite alot of kale and spinach. Do you think it would taste weird to combine these 3 greens together or just maybe leave out the spinach? When I do beets, golden or red, I sauté the greens w a little garlic n evo n a dash of red pepper flakes. I roast or steam the beets n slice them over the greens, add the best evoo you can get your hands on (I like Grove and Vine groveandvine.com) then top w pistachio nuts or Marcona almonds or any nut you like. 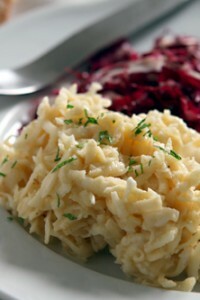 It’s a great salad and with a piece of ripe Camembert and good bread, it makes a wonderful dinner. This looks divine! I love your idea of peas for a vege version. Beetroot is sold here in NZ sans leaves, alas, but we have a wide range of delicious Asian greens available to us and one of those would be a great substitute. How right you are about fresh lettuce – I visited a lettuce farm in Singapore once and had fresh lettuce juice, which was a revelation! Hi David. Love your blog (and Instagram). 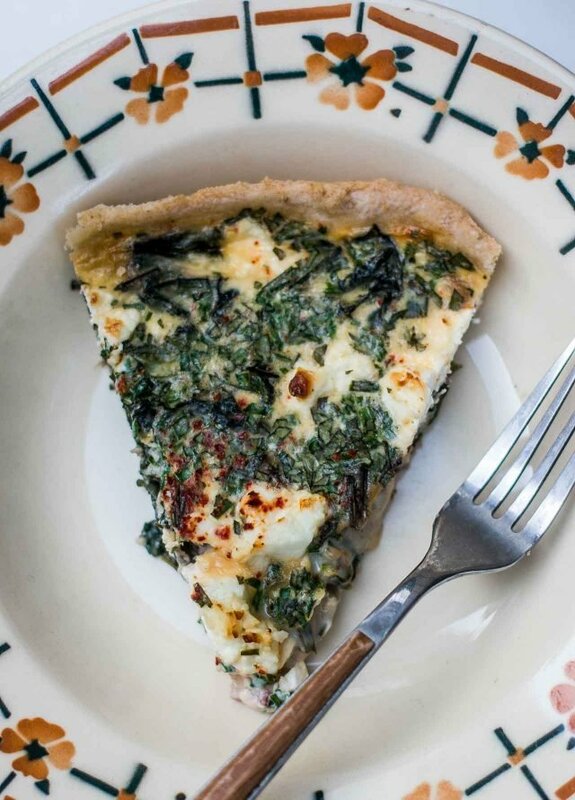 Do you recommend a certain shelf level when baking the quiche? Some say place on the lowest rack…others say middle. What do you find works for you? Thanks! I made the quiche with beet greens. So delicious. Having leftovers for dinner tonight. This is the first time I cooked beet greens but it won’t be the last. Great recipe! I’ve been intimidated about making my own quiche crust, but this one was super easy and super tasty. 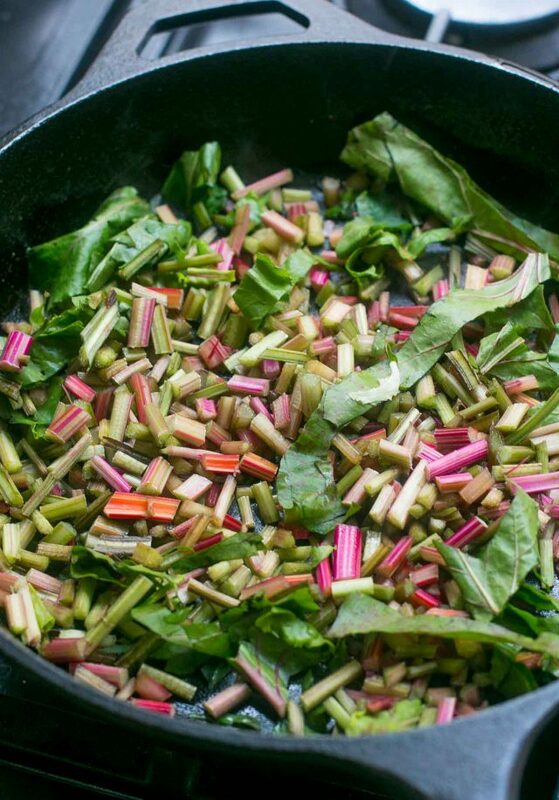 I used Swiss Chard from the garden, only modification being I also added some garlic – I love garlicky greens. Also cooked it in a cast iron skillet and it came, which worked fine. (Also, I just saw the Beet Ginger cake recipe on the blog; I can’t wait to make that for a party on Friday). Thanks for all the great recipes!! If so, can be used instead of cow’s milk? I haven’t tried it but according to this article, it can be.